Director of REAP. 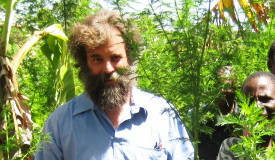 He has an MA in Agriculture and Forest Sciences from Oxford University, UK. He also holds an MSc and PhD in Agricultural Extension from the University of Reading, UK. Roger worked in Southern Sudan for almost 12 years and has had another 25 years working across East Africa. His experience includes working with a broad range of Mainline and African Independent Churches, relating Biblical teaching to the agricultural development process. He is experienced in training on Natural Medicines and is an approved Anamed trainer. 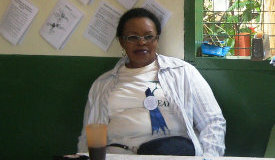 Coordinator of the REAP Natural Medicines and Christian Women in Development (CWD) programmes. She is also an archdeacon in the Evangelical Christ Church of Africa (ECCA). 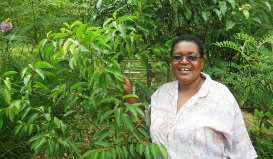 Rosalia has worked for over 24 years in rural development and in teaching church women across East Africa. Her experience includes working with many mainline and African Independent Churches, relating Biblical teaching to improving the lives of women and their families. She is very experienced in working with Natural Medicines and is an approved Anamed trainer. A Field Worker particularly responsible for the planting of Natural Medicines, and experienced in REAP’s agricultural teaching. 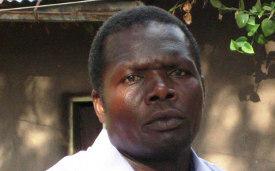 He is also a pastor and General Secretary in the Church of Peace in Africa, and a very active farmer. A Field Worker under the Stewardship Department, encouraging tree planting and care for the soil. 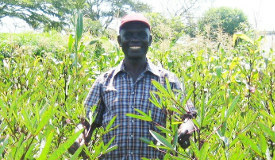 He specialises particularly in promoting the planting of Vetiver Grass to counter soil erosion. He is also a Bishop within his church. 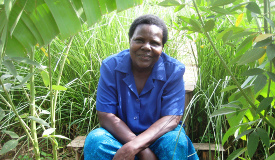 A Field Worker with the Christian Women in Development (CWD) programme. She is very experienced in working with women’s fellowships. She specialises on improving kitchens, training in moulding and installing of the energy saving stoves that REAP promotes together with other low cost kitchen improvements.